Your events will show up here too! You can search for a specific tag in the event, where the event is located at, or when the event is. If so, then Mox is the place to be! Want even more? Click on an event that looks interesting! You will be taken to the event’s page. Add comments about how excited you are for this event! 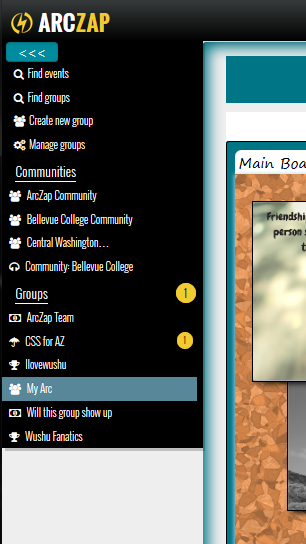 or you can even create a reminder on ArcZap! Don’t miss an event ever again! We will email you when the event date is near. Did you know that all these events are public and searchable without an ArcZap account? Of course, if you created an event, you can choose if it is public or private. But these are free for everyone to see and be aware of! We want everyone in our communities to be aware of the coolest things happening in the area. You don’t ever have to be bored at home again! Did you notice some other drastic changes? Here’s a list of some of the things we did to improve your experience using ArcZap! Time and time again, we had comments about how bad the colors of the site were. We felt your pain. Originally, we tried for go for a retro look, instead we made it outdated. We learned our lesson. Now the background color is a solid white with blue accents. What do you think? Is it still too cluttered or hard to look at? Or modern and exciting? Instead of just an icon and text, we now have the ability to add a picture for your group. 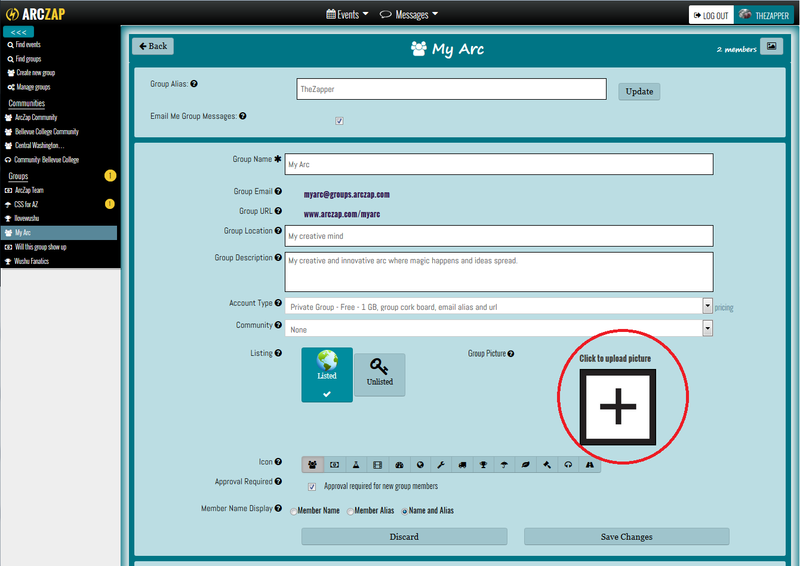 3) Upload a picture by clicking the ‘Click to upload picture’ box or drag a photo into the box. 4) Voila! your group now has a picture to showcase who you are to those looking for a group to join! Before, URLs for our pages had a random ‘#’ or a random ‘!’. 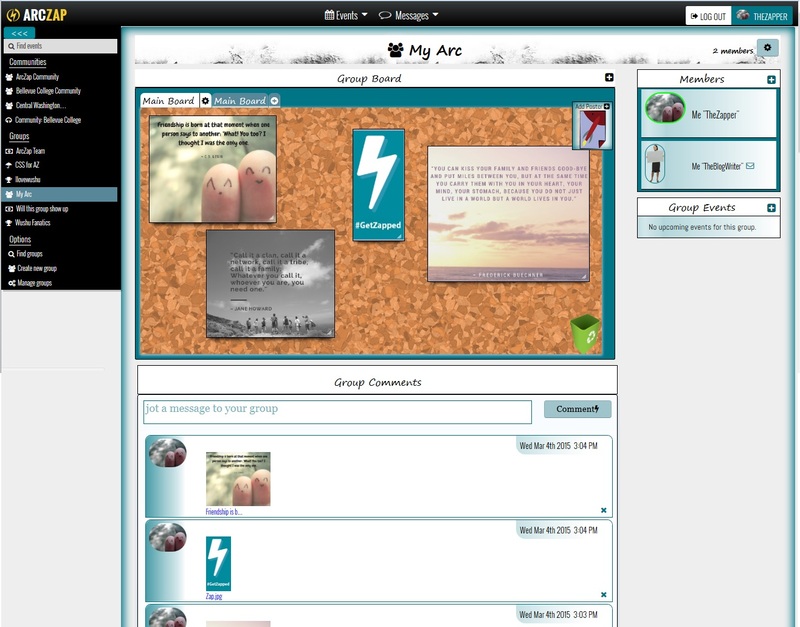 Now you can direct your friends and potential new group members to a URL that is easy to write down and go to! All the most important actions that you will want to do are located at the top of the navigation bar instead of at the bottom. 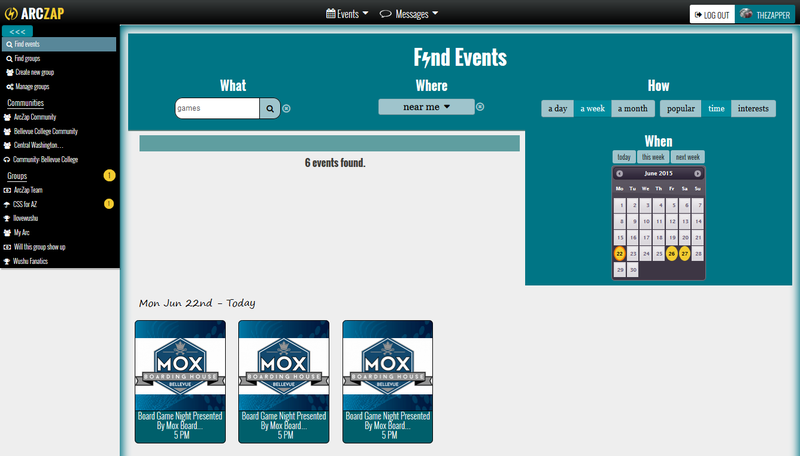 Now you can find events and groups easier! Also, did we mention that this bar is collapsible? 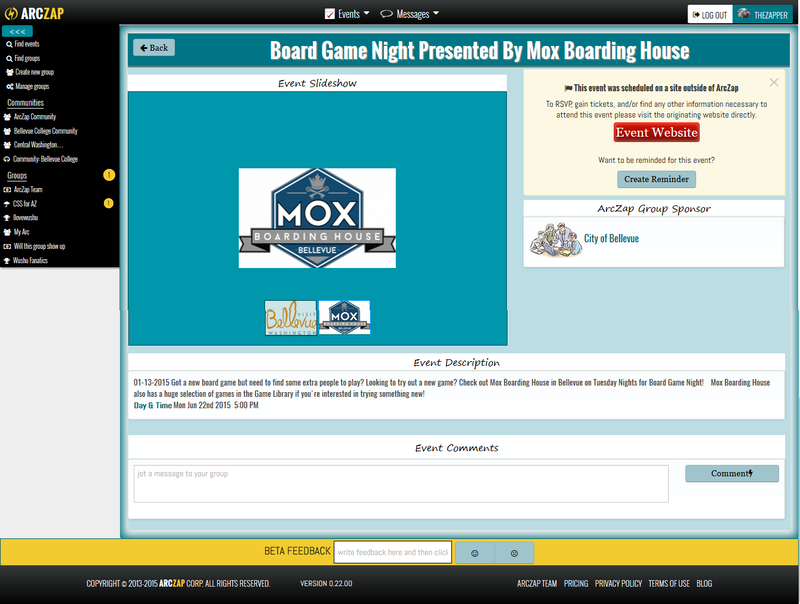 You will still see your notifications, but the corkboard and all the sites contents will expand larger on your screen. “Yay!” for a larger corkboard! Want to start an account on ArcZap now? Go here and create an account, group, or event! Invite all your friends and keep your entertainment local. Are there more features that you wish ArcZap had? If so, don’t hesitate to leave us a comment below. We promise we will listen!